What???? Wie???? Are you trying to prevent gender-related scandals? I’m glad to see you’re sticking with the scarves though. I am a 29 year-old American woman who has received a Fulbright scholarship to work as an English teaching assistant in a German high school. To their credit, those hats are pretty geil. 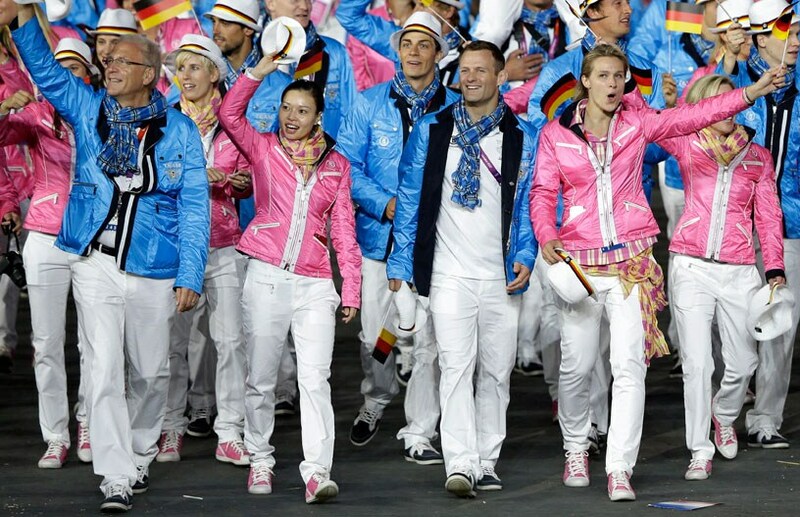 If the men would wear the rose jackets i would think there is something wrong with the germans. But with these colours the clothes seem to be quite normal. But i am not an expert in fashion. I found that amusing also. Their jackets – foreshadowing a lunar orbit circumnavigating space? Really funny, for me…..lol. I am German living in West Virginia. I miss my German bread so much!!!! !